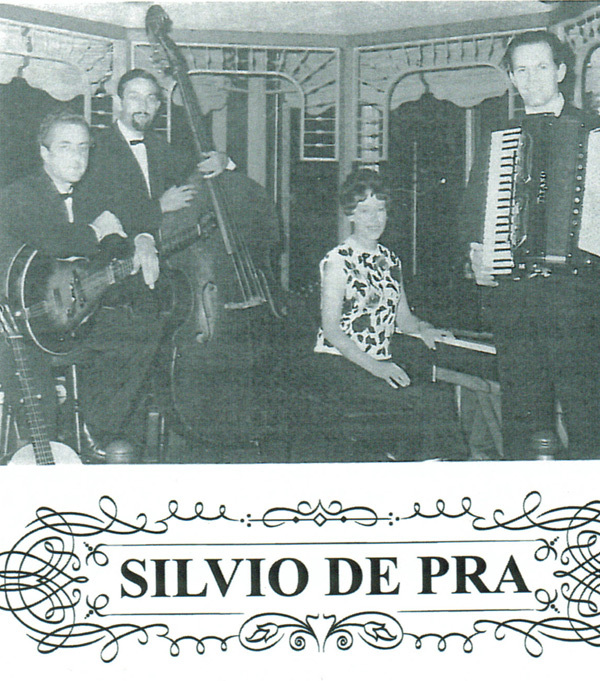 The beautiful voice and accordion of Silvio De Pra is backed by some of New Zealand's finest musicians. These are historical recordings taken from live radio broadcasts and while the recordings sound is not perfect because of the technology of the equipment used to record off the radio, the music gives you an idea of the quality of these superb musicians and what broadcasting in New Zealand was like in the 1960's, 70's and 80's. I arrived in New Zealand on the 16th of September 1955 from Italy with three other compatriots. We were employed by a Swiss firm, Borsari, as skilled professionals lining tanks for the fermentation of beer. Our intial six month contract was to work for Waikato Breweries in Hamilton. We arrived on a Thursday and on the Saturday night an impromptu party was arranged at the boarding house where we were all staying. The accordion came out and I started playing and singing with the others joining in. We were having great fun and all the others enjoyed themselves as well. One of the guests worked at the Radio Station 1XH and said I should play on the radio. I thought he was joking but he wasn't and an interveiw was arranged for the following week. I was to play a couple of tunes and answer some questions. I could understand a little English but I couldn't spleak very well so here I was without an interpreter which made answering the questions very difficult. So I just played three or four tunes and left it at that. There were some members of the radio band who were playing regularly every Saturday and they asked if I would like to be their guest. I was more than happy to accept and to my surprise they paid me £2.10. Some members of this band were also playing at the Riverlee Cabaret and suggested I should do the floorshow there. I couldn't believe all this was happening. I came to New Zealand to do a specialist job and here I found another job - to play the accordion. For the six months we were in Hamilton I played often on the radio and many other places when time allowed between my work for the brewery. We then came to Auckland to line tanks for New Zealand Brewery in 1956. We did our job at the brewery with our usual long hours and dedication. I was asked to give an audition to play on IYA and I was accepted. Again I was accepted to be a guest with the radio band and to do floorshows at many functions. It soon became clear that I had to give up the tank lining job so I could become a full time entertainer. Licensed restaurants didn't exist in New Zealand then and bars closed at 6pm. But a big change was coming when 10pm closing was introduced in 1957. I was in great demand and performed at the Sorrento, Fagels, Pinesong, Hi Diddle Griddle, Dutch Kiwi, Toby Jug and the Pounamo, to name a few. I was with Nancy Harrie and Paul Lestre group and then with my own group for the Continental Cabaret. 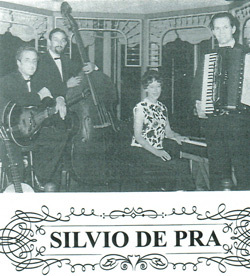 My group consisted of - Les Still on bass, Emile Bebobi on guitar, Nancy Harrie on piano and myself playng the accordion. We played at the Top of the Town restaurant at the Intercontinental Hotel six nights a week for two recorded the programs at home on my Grunding cassette tape recorder (reel to reel). Over 100 tunes were recorded but I have selectedjust 20 to make up this CD taken from some of the Continental Cabaret radio programs. The sound is not perfect because of the different technology used to transfer the music from cassette to cassette and then onto CD but it gives you an idea of what broadcasting was like in the 60's, 70's and 80's.